As a pet project, I decided to get this up and running. Below I will go into detail on the steps involved. Have basic knowledge of aws services, nodeJS and setting IAM roles. There is a deploy script at the root of the project. Before you run this and update your lambda function, you need to first create it. Create IAM role that has access to lambda and to dynamodb. If you have aws cli setup try the sample script below. NB: Make sure and change the role val. Verify you can view the lambda function in the aws console. Change to trigger to be "Alexa skills kit". Create a table named AlexaPlexUsers with a primary string key of userid. Navigate to Amazon Developer Portal to begin the Alexa Skill process. Fill in the Alexa Skill store details. Define the invocation name as home theater. This will setup what commands "Plex" can process. 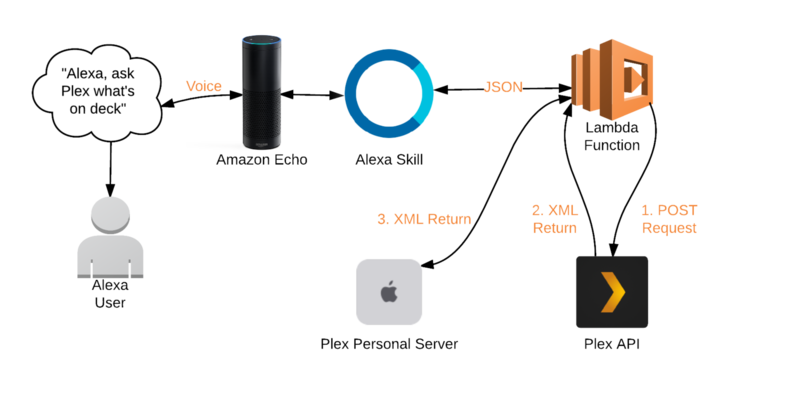 The sample utterances enable Alexa to process a variety of phrases for the same interaction. Copy in the intent schema, sample utterances and custom slot. The files are located under directory ask_configuration. You'll want to fill in your Lambda ARN here. Set Account Linking to No. Use the service simulator to test it out. "Alexa, tell home theater to continue setup"
Alexa will guide you through the steps to link your account. Simply keep saying that same command and it should move to the next step. "Alexa, tell home theater to play Mr. Robot"
If you receive no response from lambda function, make sure you increase the timeout greater than ten seconds. Any errors in the function, review the cloudwatch logs. I had an issue where the default player was Plex Web for Chrome and not my Rasplex. So I needed to change this entry in the dynamodb table. You will see there is a player object. You need to change the machine identifier to the client that is running plex home theater. 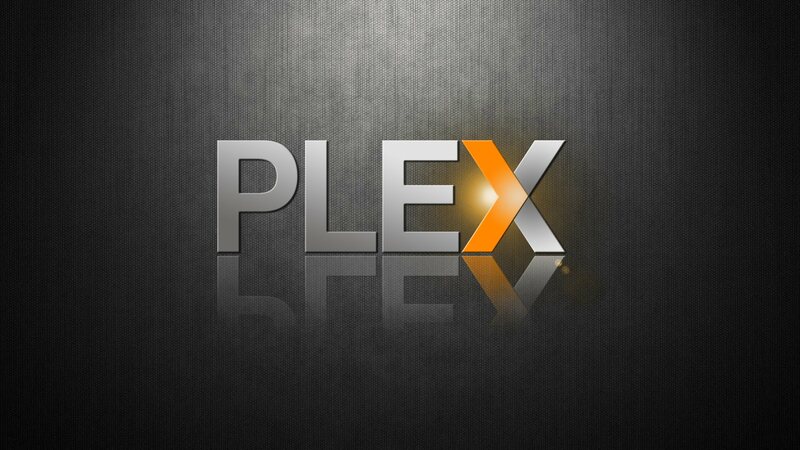 How you find that out, is by logging into plex.tv, launching the webapp and inspecting the network requests. You can do this in Chrome by launching developer tools. You will see a XHR request similar to https://plex.tv/devices.xml. If you review the response you will find the client identifier value for the device you need. For me it was rasplex.